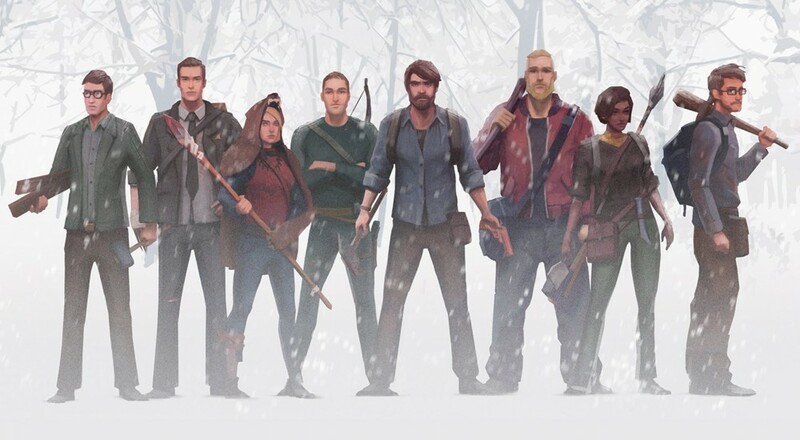 Eight Points' co-op survival title, The Wild Eight, is still slated to enter Steam Early Access before the year ends. While there's no update about when that might actually be, a new gameplay trailer has arrived that provides a little more of an overview of what to expect when the title does become available. In a survival game, it's not unexpected that you'll be spending a good portion of your time hunting for food to manage your hunger, ensure you have fire and shelter to keep you warm from the cold, and finding materials within the world to help craft items that make all of that easier. As one person, tackling all of that can be difficult, but as a group, it becomes easier, especially when the eight different playable characters have their own talents and specialties. The Wild Eight should be out on Steam Early Access "soon." No word on the price or exact date. It will support eight player online co-op.